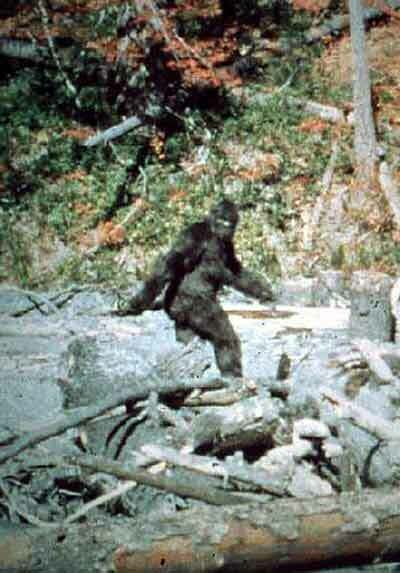 North American Bigfoot: Happy St. Patty's Day, 2011! Happy St. Patty's Day, 2011! Can you believe that it has been forty-four years since Roger Patterson and Bob Gimlin filmed a sasquatch at Bluff Creek, CA? To celebrate this numerically palindromic milestone, I invite you to join me at approximately 1:15 pm and give a loud "ba-whoop" to the furry gal herself, Patty! If, like me, you find the above image to be unspeakably beautiful and meaningful, I want to encourage you to watch a very special upcoming episode of Animal Planet's Finding Bigfoot that will be centered around this unique footage. Join me and the rest of the cast on October 30th at 9 pm on Animal Planet as we descend into Bluff Creek to examine the most famous bigfoot encounter of all time. There will be several very special surprises and historic events that will be shown for the first time on television. You'll probably recognize a couple faces from the bigfoot community as well. 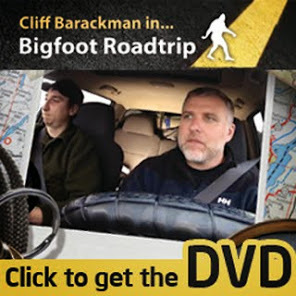 Whether you're a bigfoot nerd or just a fan, you'll definitely want to check out this two-hour special. And finally, in this once-a-year celebration of this very special day, I'd like to extend a smiley and warm birthday wish to Autumn Williams. Due to her quiet and close work with a wide array of long-term witnesses, and to her steadfast devotion to the well-being of the creatures themselves, I strongly feel that Autumn is probably the most important bigfooter today. Happy birthday, Autumn!